British Council for Chinese Martial Arts: Qi China Martial Arts (formerly 'Chinese Martial Arts Centre UK') is a member of the British Council for Chinese Martial Arts (BCCMA) the only governing body recognised by the Sports Council for Chinese martial arts in the UK. Our teaching organisation, formerly named 'Chinese Martial Arts Centre UK' was a founder member of the BCCMA. Qi China International – Martial Arts is pleased to work in a shared educational partnership with the Qufu Shaolin Martial Arts School of Master Shi Yan Jia, 34th Generation Shaolin Warrior Monk, and Disciple of the Venerable Abbot Shi Yong Xin, Head of the Shaolin Temple [Henan Province]. The School is located in the historic city of Qufu (eastern Shandong Province), hometown of the great Chinese philosopher, Confucius. The Qigong Institute: the institute is dedicated to promoting better knowledge about the various forms of traditional and medical qi-gong world-wide. 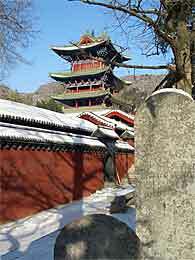 Qi China International is a member of the Qigong Institute and supports its important educational work.